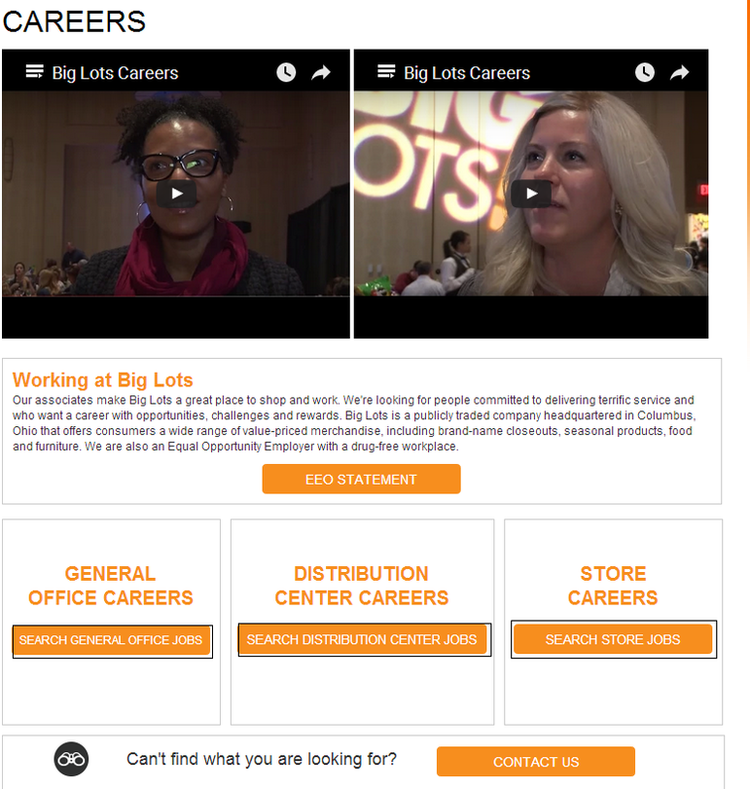 You shall visit biglots.com/careers, and choose a department from general office, distribution and store to build your career. You could find a position you are satisfied with and qualified for by browsing the requisition titles listed, or, more conveniently, you could find the pointed position by entering some basic information, such as keyword, location, job field, job type, job schedule and so on. After selecting a proper position and reading carefully about the job description, you need to create a new account for your online application. Valid email address and password are necessary to register successfully. Before you go any farther, you need to upload a resume from Linkedin, Indeed or your computer, and you may also manually fill in the online submission, then you should click “Save and Continue” to go on. 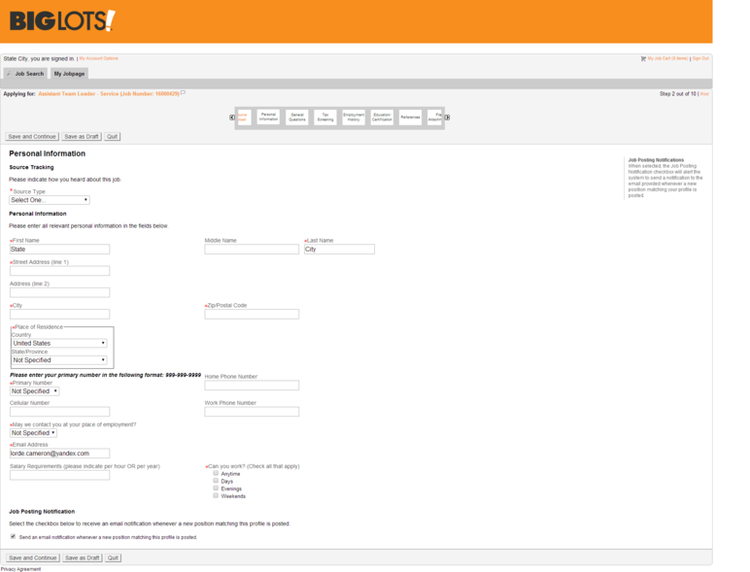 In this step, you shall fill in some basic personal information, click “Save and Continue”, and then complete the application by answering some general questions, submit your education certification, references, file attachments and so on. All you need to do next is waiting for Big Lots’ contact. 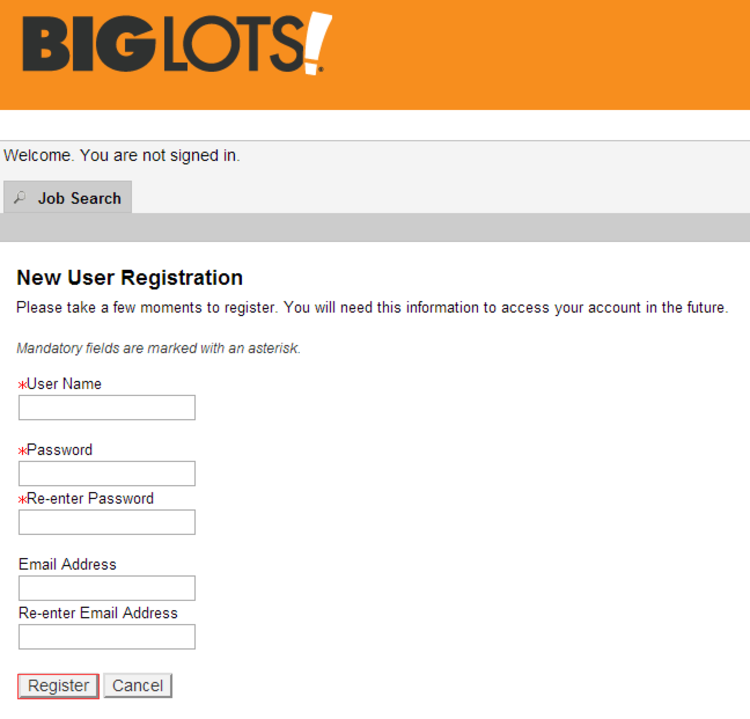 Click biglots.com/careers to apply for Big Lots jobs online.